Pianist, composer, and 2013 MacArthur fellow Vijay Iyer has been hailed as one of the most innovative and visionary jazz musicians on the contemporary scene. His latest trio album, Accelerando, features Stephan Crump on bass and Marcus Gilmore on drums playing both original compositions and interpretations of pieces by Duke Ellington, Henry Threadgill, and Michael Jackson. My extended conversation with the Grammy-nominated artist touches on Suzuki parenting, the meaning of perfection, and how musical collaboration can feel like hanging out with one's cousins. Alto saxophonist Rudresh Mahanthappa combines influences in Western jazz and South Asian classical music to create a unique, captivating sound that he describes as an expression of Indian American identity. His collaborations with musicians including Vijay Iyer, Dan Weiss, and Steve Lehman have drawn critical praise from NPR, the Village Voice, the New Yorker, and Downbeat magazine. On the eve of the release of his new album, Gamak, we discuss why he chose the saxophone, whether he's ever had an office job, and what his Indian immigrant parents really think about what he does. 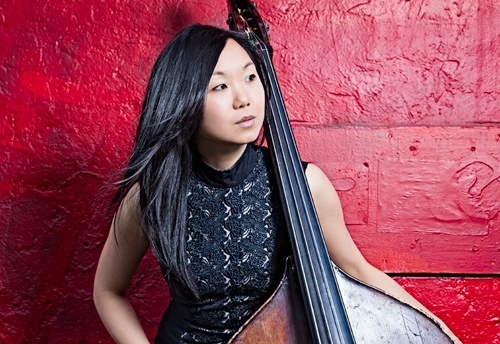 Bass player Linda Oh has been described as a graceful player with a percussive touch, a composer of music that “leans forward at you,” to quote the New York Times. Born in Malaysia and raised in Western Australia, she brings together multiple instruments, languages, and trainings: upright and electric bass; Mandarin and English; classical and jazz. I spoke with her about her family history, the jazz scene in Australia, and the challenges of leading a band as a bass player. Her 2012 album, Initial Here, and her latest, Sun Pictures, are available on Dave Douglas’s Greenleaf Music label.